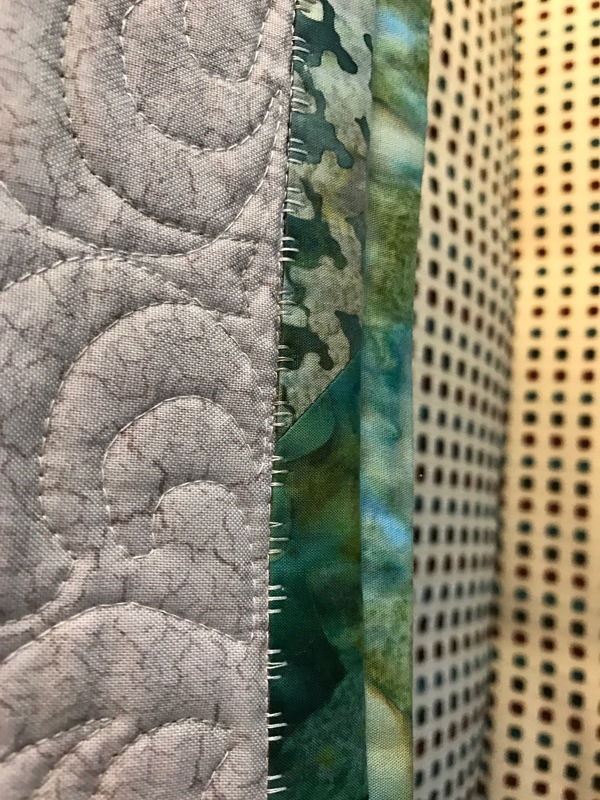 I bind my quilts using 2 1/4″ strips cut from the width of fabric to provide a bit of give as I attach the binding (given the large lap quilt size of my quilts I need six strips). I join the strips using a mitre – the reason is the angled seams don’t attract the eye and often they are nearly invisible. 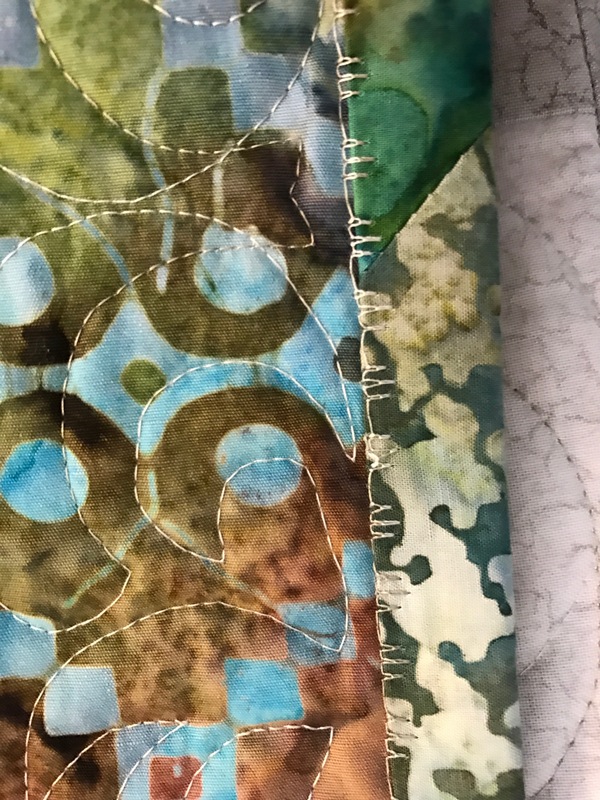 It’s a modification of one of my machine stitches – I am careful to keep the straight stitches along the edge, the stitching to the right and back overlaps the binding and holds it securely. I’ve done this so many times that it doesn’t take long to bind a quilt. Thank you for these details! I learn so much from seeing your up-close pictures…and love your work! I wish I could get the placement of the fold of the quilt consistently right. I find there are always places I have wandered and the stitching doesn’t line up. Your binding looks great! That’s why I stitch the binding on the back first and do my aligning on the front where I can make sure the fold is precisely lined up with the stitching from the back and I can see see where I’m stitching on the binding. That small change – starting on the back (not the front) and bringing the binding to the front – makes applying a binding very simple!